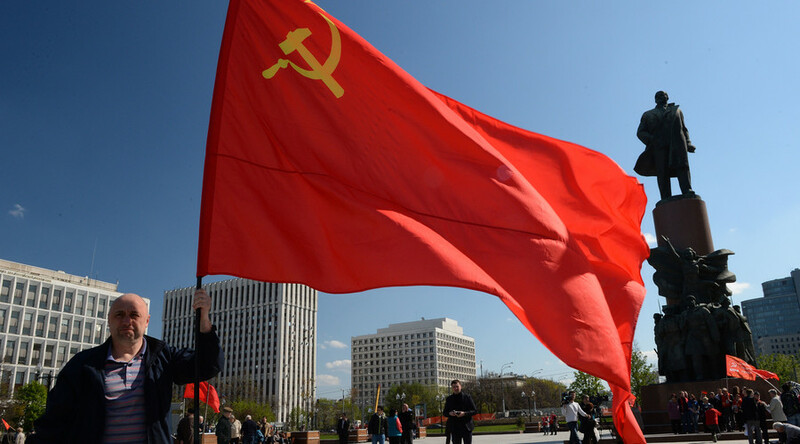 The Russian Communist party has passed a resolution urging its members to step up efforts to propagate leftist ideas and resist all attempts that might be made to falsify history in the run up to the 100th anniversary of the October Revolution of 1917. The resolution was approved at a recent joint plenary session of the Communist Party’s Central Committee and its Central Control Commission, which is tasked with preparing for the centenary of the October Revolution. “On the eve of the 100th anniversary of the Great October Socialist Revolution, regional and municipal committees of the Communist Party of the Russian Federation must step up their efforts in propaganda and education. They should also strongly resist any attempts to falsify history,” the document reads. Communist leaders also agreed to launch a year-long “jubilee membership drive” in 2017, which will use the approaching anniversary to boost the party’s numbers. In the report delivered at the plenary meeting, the Central Committee’s deputy chairman, Dmitry Novikov, told his comrades that the September parliamentary elections demonstrated that Russian society still highly values Communist ideas. “The authorities and bourgeois parties cannot resist us in the field of ideas. They conducted the fight using political tactics rather than ideological concepts, but they could not disprove our ideas, because ours are the ideas of the majority of the people,” he said, adding that the fact that other parties had adopted the rhetoric of social justice was further proof that the concept is still very popular. The Communist Party of the Russian Federation is the only official heir to the Communist Party of the Soviet Union, and is still one of Russia’s major political parties. With the second largest caucus in parliament, Communists make heavy use of Soviet ideas and images in their campaign materials, which target the older sector of the population that is still nostalgic for bygone times. In recent years, they have also attempted to capitalize on the image of Joseph Stalin, presenting him as the man who led the Soviet Union to victory in WWII. In early 2016, the Communists decided to use Stalin’s image to boost its popularity ahead of last month’s parliamentary elections. Subsequent campaign stunts included naming paragraphs in the party’s elections program after Stalin, erecting monuments to the Soviet dictator, and putting forth a proposal to denounce the decision of the 20th Congress of the Communist Party of the Soviet Union (CPSU) in 1956 that condemned Stalin’s cult of personality. 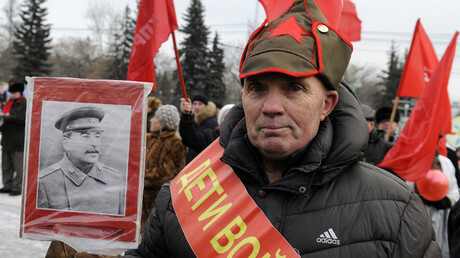 Stalin’s name and image are popular weapons in the Communists’ arsenal, as they rarely fail to attract media attention or provoke rows with more libertarian sections of Russian society. 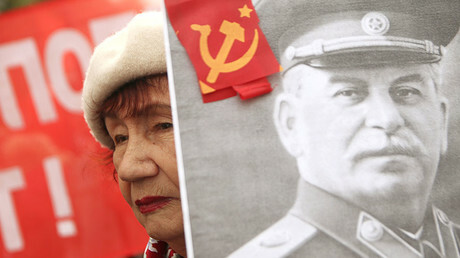 For example, in February of 2015, Communist Party leader Gennady Zyuganov appealed to President Vladimir Putin to return the name of the city of Volgograd to “Stalingrad,” and also to name a square in Moscow after Stalin and put a monument of him in its center. The initiative gained some momentum in the city of Volgograd, as the local authorities agreed to rename the city during the celebrations marking the anniversary of the battle of Stalingrad, but only in some internal documents for a short, limited time.